I sold my double BOB stroller to get this and it was the best investment! This stroller folds and unfolds so easily. Iâ€™m a little short and not very strong and I donâ€™t struggle to set it up or fold it up. The shipping was super fast too, which I enjoyed! I love this stroller! It is so compact when you are folding it and trying to stick it in the trunk of your car. Itâ€™s shockingly light weight for a double stroller. It was so easy to push and navigate. The adjustable handle bar is also a huge plus. 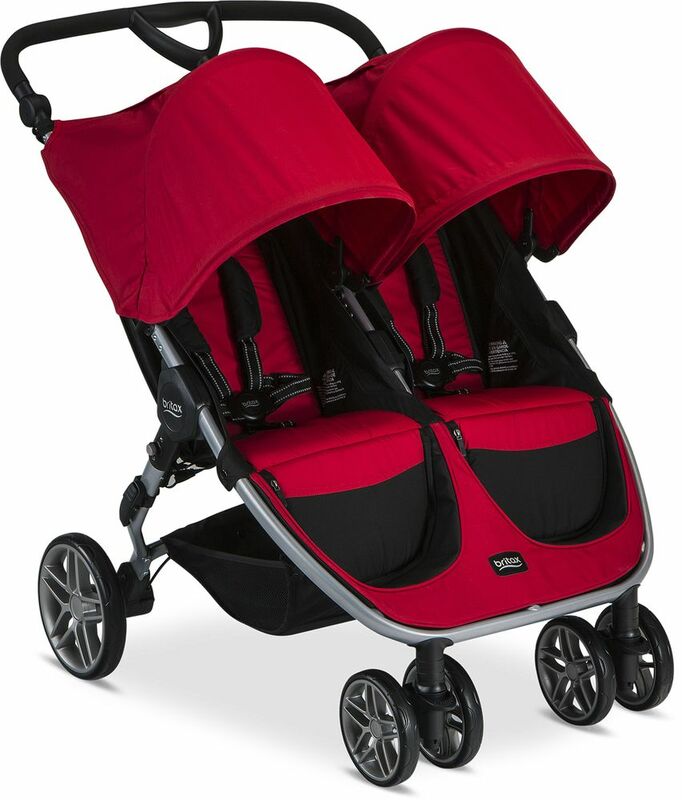 I am extremely impressed with the Britax B-Agile Double Stroller. We were using a Graco Sit and Stand stroller which had never done very well. With both children are on it, it was a bear to push regardless of how you seated them. Having had two knee surgeries at 17 years of age myself and now a severe back injury, this was not working well. I had read reviews of many of the $400 strollers and disappointingly found out that they weren?â‚¬â"¢t really any better than most $200 strollers that we had. Cheap materials, poor steering/pushing, etc. We were so desperate, unable to find a used Bob stroller, we were considering buying one new! My frugal nature (and our bank account) were in rebellion to this, but this was becoming a medical issue not just an inconvenience. 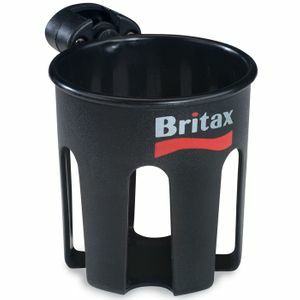 Then we found the Britax, and on sale too?â‚¬? I cannot express how surprised I was at the ease of pushing this stroller with a total of about 85 pounds in it, plus our stuff. The ride (and steering) is insanely smooth and you can practically turn it on a dime. Our first use was at a theme park which was unusually crowded. I was able to navigate through the crown ten times better than in the old stroller, even then our old single jogging stroller. I was also surprised at how well the children fit in it despite their 99th percentile height (at 5 and 2 years of age). I wish I had bought this stroller so much sooner. The wheels also were of better quality and size than I expected. They do get stuck in some railroad track crossings if you hit it straight on so beware! But going at a diagonal, they handled it perfectly, no jostling the stroller. This stroller is very good. Easy to fold and unfold, I can push it with one hand, yet sturdy. I have 2 three year olds and still does not fee heavy at all. We used this for the first time in Charleston and it was amazing! Easy to steer, comfy for the kids and fits through doorways! I purchased this stroller as my daily walker for my newborn and two year old . It works great on the roads since we don't have sidewalks here in my neighborhood. I did place and infant insert in the stroller for more cushion for the newborn. The only draw back for us would be that my two year old will out grow it shortly. Overall a great double at an amazing price! ConsCould have more padding The height doesn?t adjust fo accommodate taller kids. 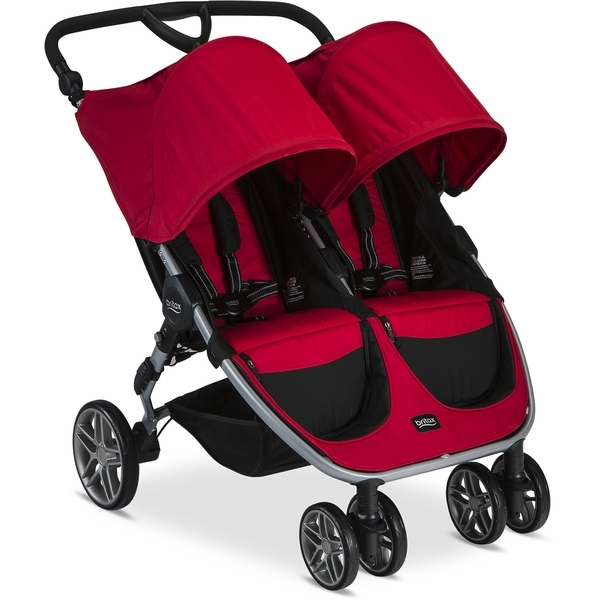 This is a great stroller that moves swiftly. It's easy to fold and unfold while holding my baby. The only thing I wish was different was that my infant car seat would fit on it. They need some sort of adapter to make that happen! It would be so much better for when my babe has fallen asleep in the car on the way to our destination. Great stroller for my 4 year old and 1 year old. Came fast delivery, only had to put wheels on, so easy to assemble. Folds easy and flat. Pushes smooth and light. Fits through door ways. Handle bar grip is nicely padded and adjustable up and down. Purchased britax stroller organizer and fits well on handle bar. Very easy to maneuver even with a 3.5 years old kid. A little bit heavy for me, but it is easy to fold. Love this stroller! I have three kids, 4, 1, and 2 months. I did think the stroller attached to a car seat but it does not! but all I had to do was recline one chair back and it is practically a bassinet and my baby sleeps comfortably while I walk. my other baby can sit up and watch the road. the bar adjusts so big sister can help push the stroller and feel involved. this stroller rides so smooth and turns so easily the only complaint I have is that it is hard to fit through most door ways but this stroller is so nice I don't really mind. I am nothing but happy with this stroller and I highly recommend it!! Prosluxury. smooth ride my baby's sleep as soon as I lay them in it. individually reclines each side. handle bar adjusts to height so big sister can help push too. Consdoes not fit through most door ways. This stroller is fantastic! I had a different brand double tandem stroller before I bought this one, as well as another double high end running stroller and the Britax B-agile trumps them all! My kids are almost 4 and 2, and the stroller is so easy to turn (usually one-handed! ), fold up, set up, and push! This was well worth the money. ProsEasy to push, fold, and set up, sturdy, gate checkable at the airport, easy to put on brake, still easy to push when only one kid wants to ride and the other wants to walk. 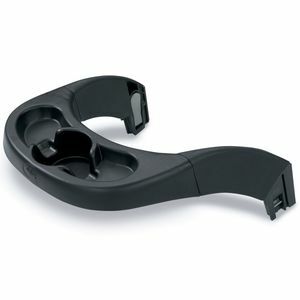 ConsNo cupholders (mesh or hard) for kids and small storage area. Best UsesWalking long and short distances, traveling (can be gate checked). 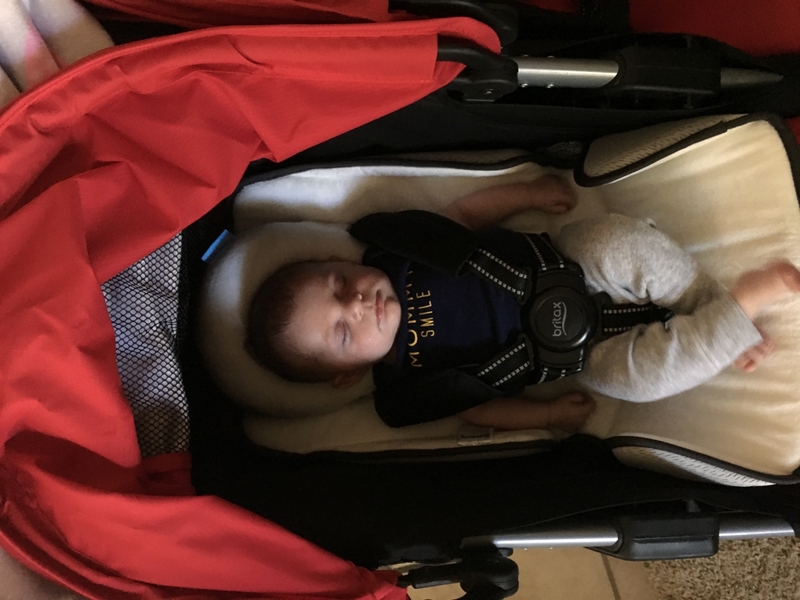 We got the stroller within five days of ordering! The stroller is great and I can't wait to use it with the new addition. Smooth ride and the perfect size. It's easy to fold and fits into the trunk of a ford focus with plenty of room to spare. The red is beautiful and vibrant! Very happy with my purchase! 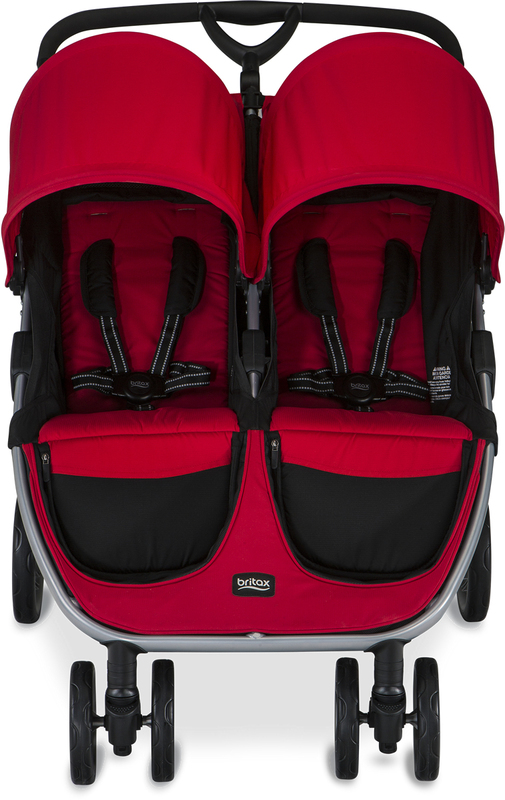 Great double stroller for a two year old and newborn! Couldn't have asked for another great product! We had the single stroller for our first child and it always worked great for long walks. The double is just as great! 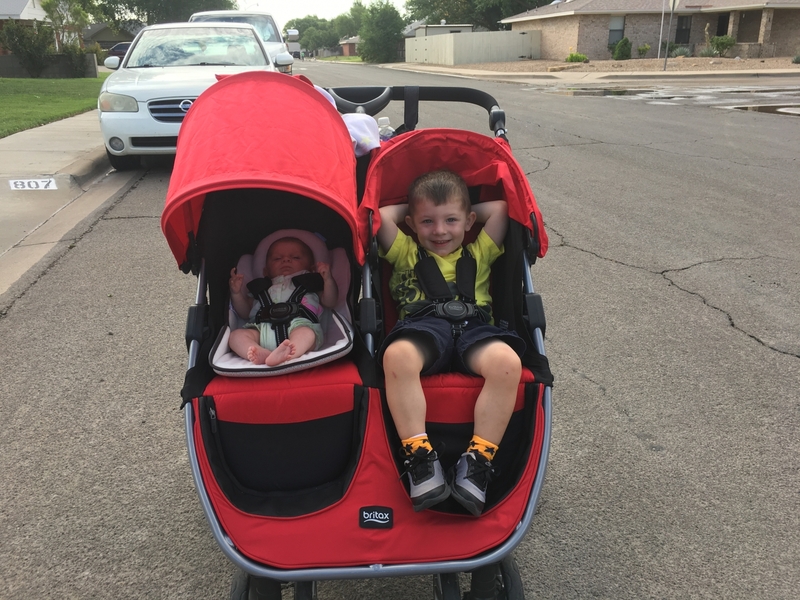 With the steep price tag on double joggers this stroller works great for us while being able to exercise outdoors! We used our single every day for long walks (5 miles) and it has barely any wear and tear. In assuming we'll have the same experience with double ! Do the two seat recliner independently of each other? Will the Britax Chaperone infant seat fit in this? Is an adapter needed to do so? 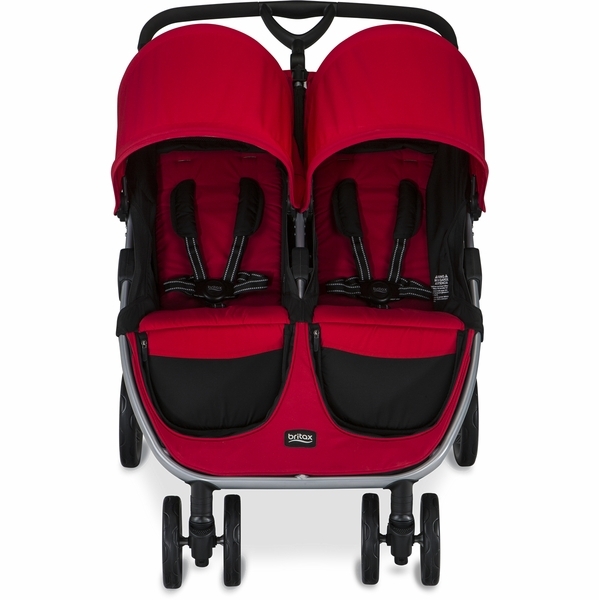 Can you attach any infant car seat to this stroller or only Britax brand? This stroller does NOT accommodate any carseats. It is a stroller only.